StrongHold offers carbon fiber floor stitching systems to replace the use of steel dowels to reinforce commercial, light industrial, basement, and garage floors. These systems are inserted into saw cuts with polymer resins and install at 10% of the time of steel dowels, with much less effort. 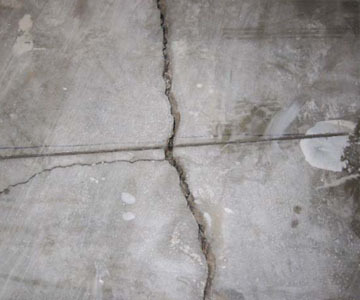 Common applications include repairs of cracked floors prior to installing high end flooring systems or colored concrete floors. 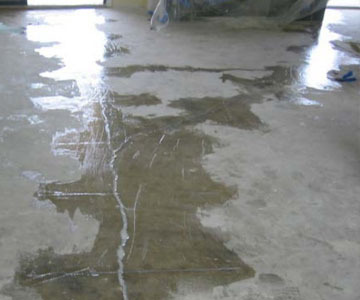 StrongHold includes a non-permeation floor coating to conceal the repairs as well as protect floors against impact, moisture, and certain chemicals. 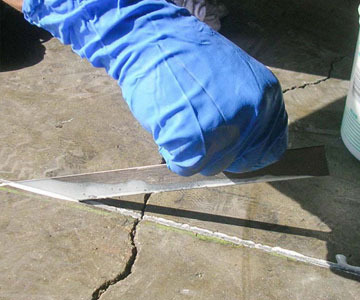 See Cracked Floors case study. If you’re dealing with a cracked floor, it’s easy to take care of with StrongHold™ Floor Sticthing Kits. Call us today at 877-303-0453.